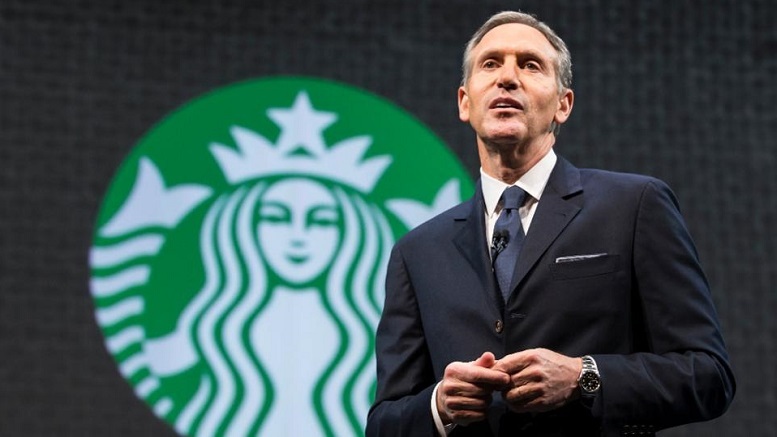 Former Starbucks CEO Howard Schultz has signaled his intention to run for the White House in 2020. What was initially thought to be a divisive, threadbare candidacy that would only help Trump was transformed today when Schultz detailed his program for a single payer coffee entitlement. Under the plan, everyone would be entitled to free coffee, with the tab picked up by the government, in what is being described as “Medicare for all, but it’s Coffee”. The proposal is already proving hugely popular, with millions of prospective voters saying they will be pressing the touchscreen for Schultz in 2020. There has been some pushback, however, with drinkers of espresso questioning why they should be subsidizing Frappuccino aficionados with their tax dollars. Be the first to comment on "Howard Schultz Promises Single Payer Coffee System If Elected President"